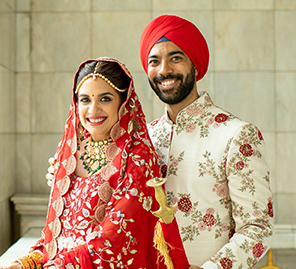 From a fairytale engagement to an elegant reception, this wedding in Lucknow was enriched with traditional rituals and enhanced with modern glitz. 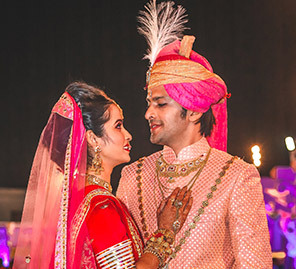 Priya and Gaurav’s sweet love story started a new chapter at their grand wedding in Lucknow. 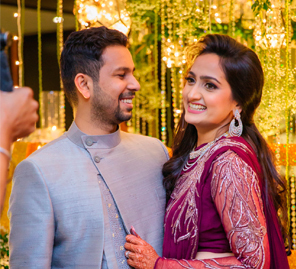 The bride shares with us the highlights of their wedding and pictures clicked by WeddingSutra Favorite Amit Photography. “As the new girl in the 8th grade, I braced myself for a lot of attention. Gaurav was probably drawn to me in that initial curiosity. Then one day, he saw me perform in a promo for our school’s annual day and developed a crush on me. But I remained blissfully unaware though I definitely knew who he was – the good-looking all-rounder guy in my class. Little did I know I would find my soul mate in him. We were friends for ages, smiling at each other shyly in the corridors or at our classes. 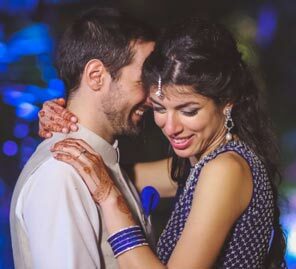 When I became head girl, able to change my duty to wherever I needed to, I’d make sure Gaurav was in my line of sight at all times.